Welcome to J. Henry’s Draught House + Kitchen. We are a family owned and operated restaurant specializing in craft beer and unique American food. Inspired by his grandfather’s restaurant, owner John Amato has always dreamed of opening his own place. Fifteen years of restaurant experience and a degree in restaurant management from University of Houston has lead to the creation of J. Henry’s. It is our hope that J. Henry’s will be a family friendly, casual dining experience where you can enjoy great craft beer , crowd-pleasing shareables, and mouth-watering entrees in a comfortable setting. J. Henry’s is excited to become a part of the craft beer and dining scene in the Clear Lake area. It is our goal to offer a beer selection designed to please beer connoisseurs, served by an engaging staff who can educate novices in the ways of the craft beer movement. We are also thrilled to introduce a new spin on traditional American dishes and unique beer-infused menu items. 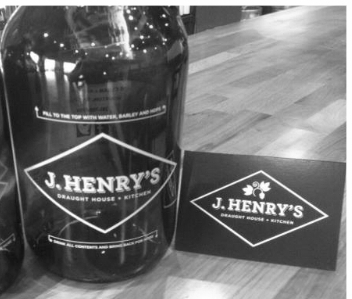 Whether you stop in for a meal, join us for happy hour, or grab a growler at our drive thru, we look forward to welcoming you to J. Henry’s. 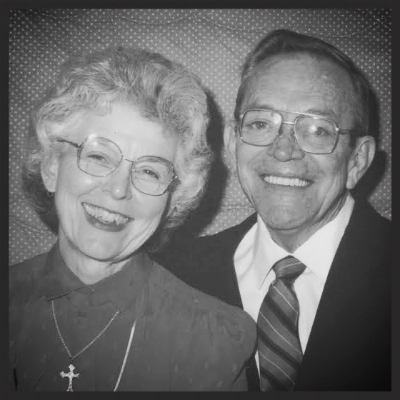 J. Henry’s is named in honor of Henry Gonzales, the owner’s Pepere (grandfather). Pictured here with wife Yvette. Owner, John Amato, with wife Jackie and sons Carter and Landon. Owner, John Amato, with General Manager, Jason Daly.